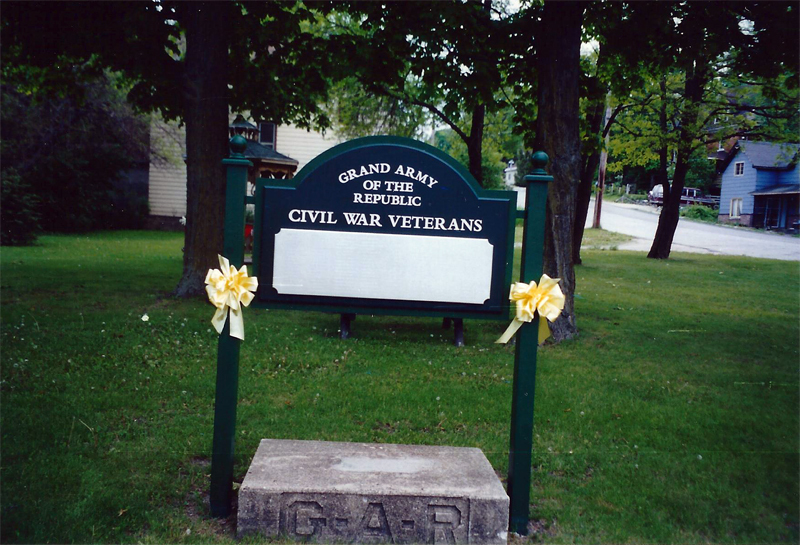 Sign with names of 136 Civil War Veterans from Charlevoix and part of Antrim counties, Erected Memorial Day, 2001. Cement base under sign with inscription "GAR" was original base used for flagpoles that were in the park over the years. City was going to get rid of the base, but Mr. Bernie Hammond talked them into keeping it, to put under the sign. GAR Hall for the Stevens Begole Post No. 66 stood on property where the park is located. When post disbanded and the hall was torn down, the GAR members had a signed agreement, with the city that the site should forever be used, as a memorial for the Civil War Veterans. 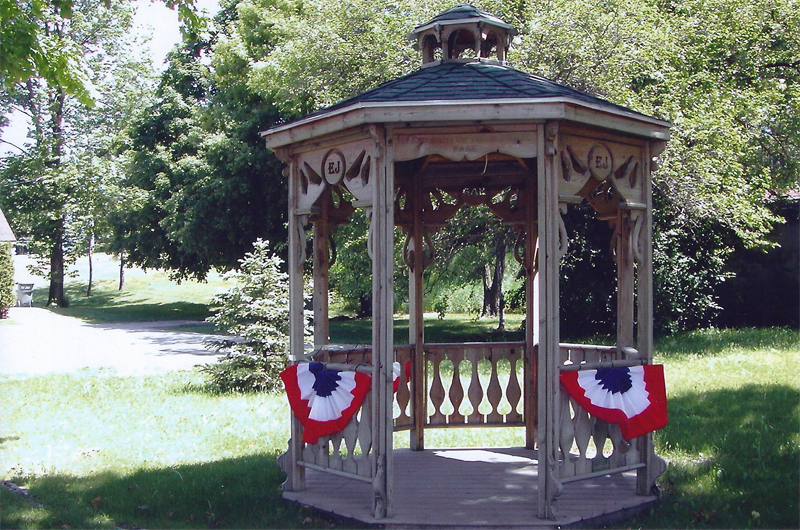 Erected summer of 2001 by the Eagle Scouts as a project. 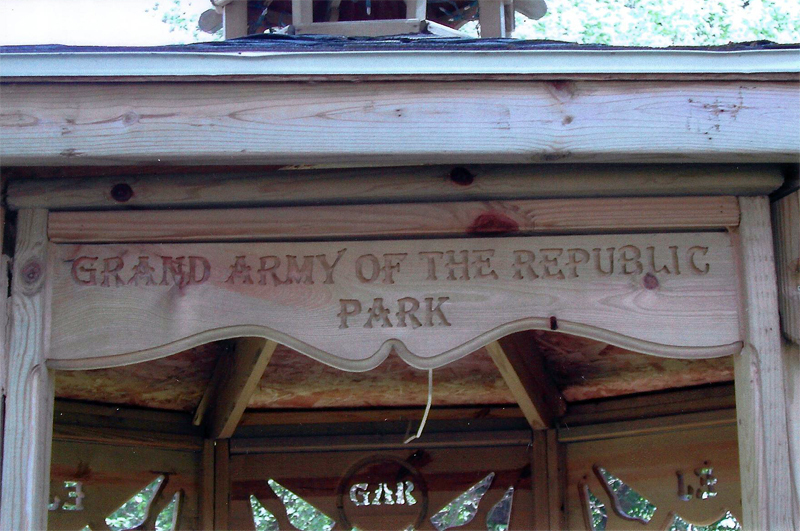 It is located behind the memorial sign honoring Civil War Veterans in the GAR Park.